It's time to spring forward! Every spring, Americans set their clocks forward for Daylight Savings Time. Though this event means one less hour of sleep for a day, it also gives us more sunlight during our waking hours and more time to be outside. 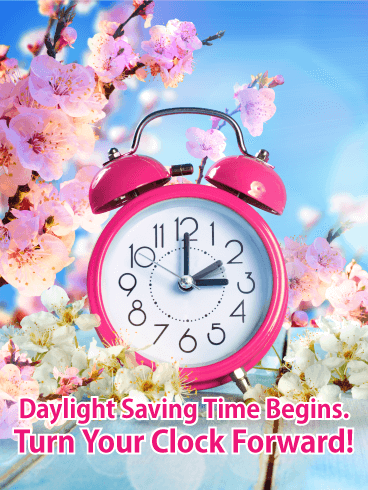 With this beautiful Daylight Savings Time card, you can remind your loved ones of the upcoming time change and the start of spring! Nothing is worse than forgetting about Daylight Savings Time and waking up an hour late. 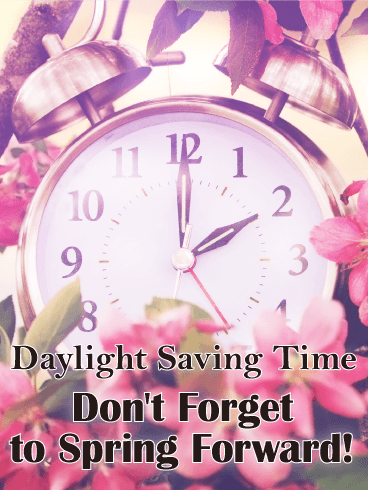 To help your friends and family avoid this frustrating occurance, send this floral Daylight Savings Time card! With this colorful card, they will remember this event and know to set their clocks forward before they forget. 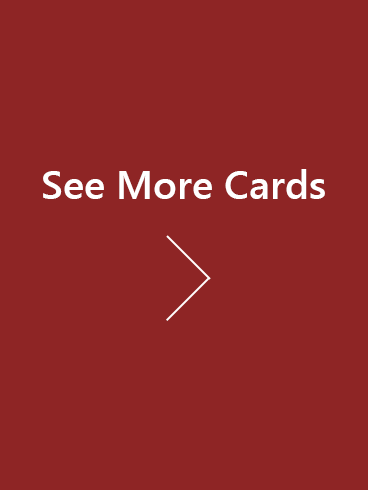 Don't leave your loved ones hanging - send this card today! Tick tock, tick tock. Daylight Savings Time is getting close and it's almost time to set your clocks forward. Though this event happens every year, it's easy to forget. 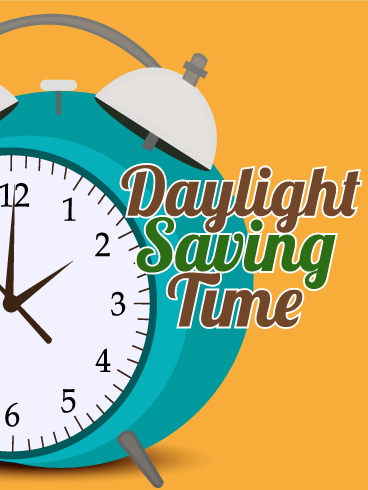 To avoid oversleeping and missing your appointments, send this Daylight Savings Time card as a reminder. When everyone you know remembers to change their clocks, they will help you remember too! Use this green, fun Happy St. Patrick's Day card to celebrate the luck of the Irish! 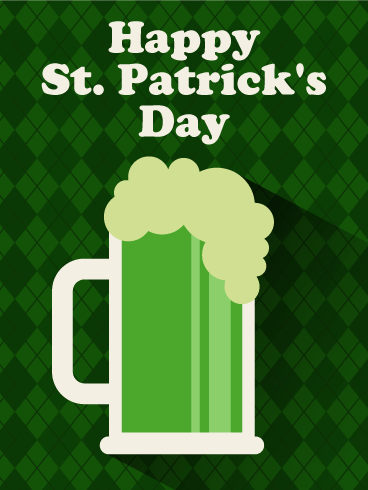 The green argyle background and green beer are the perfect item for this festive St. Patrick's day card. To celebrate and have the best time possible, send your good luck wishes to your loved ones with this Happy St. Patrick's Day card! Rumor says there's a pot of gold at the end of the rainbow, but finding it is next to impossible. 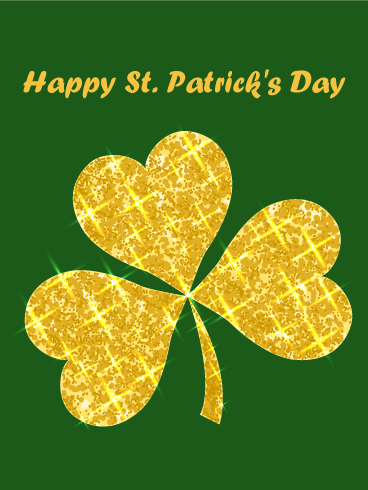 Instead, enjoy your leprachaun's gold in the beautiful, shimmering clover on this Happy St. Patrick's Day card. The green background and bright clover are the perfect decorations for this festive card. To celebrate and have the best time possible, send your good luck wishes to your loved ones with this Happy St. Patrick's Day card! Top o' the mornin' to ya! It's March 17, which means it's time to break out your green clothes, lucky clovers, and Irish accents in celebration and fun. 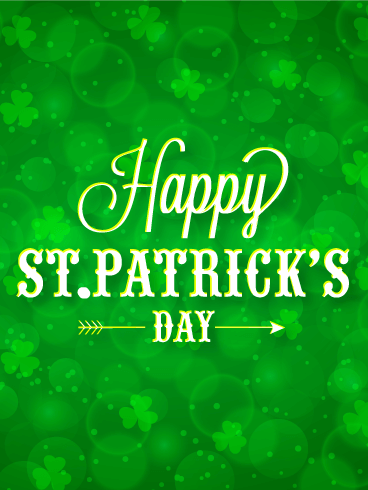 St. Patrick's Day is a holiday meant for drinking, dancing, and fun, so make the most of the day this year! Send this Happy St. Patrick's Day card to your family and friends to make this the best celebration ever! Your sibling is very special to you, you share a unique bond. Even when you haven’t talked for a while or if you live far away from each other now when you do talk it’s just like you’re kids again. 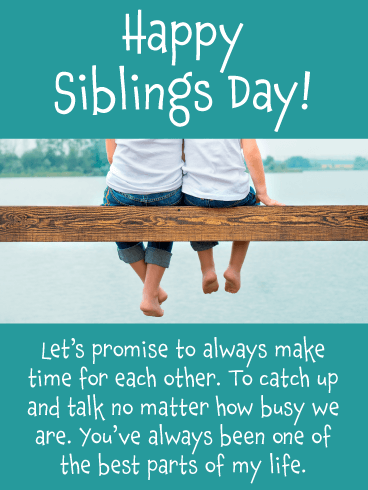 Send your darling brother or sister the Best Part of My Life Happy Siblings Day Card to promise you’ll always make time for them– no matter how busy life gets! When it comes to dynamic duos, you and your sister really take the cake! People joked you both were joined at the hip when you were growing up cause you were always together. For an extra fabulous sister you need an extra fabulous card, are we right? 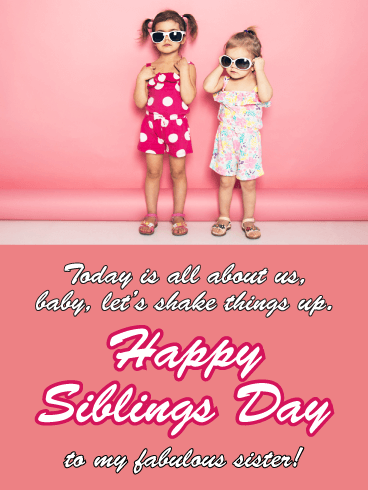 Send that fashion diva the Shake Things Up Happy Siblings Day Card to let her know that today (like every day!) is all about the two of you! It doesn’t get much cuter than a card with puppies on it, does it? 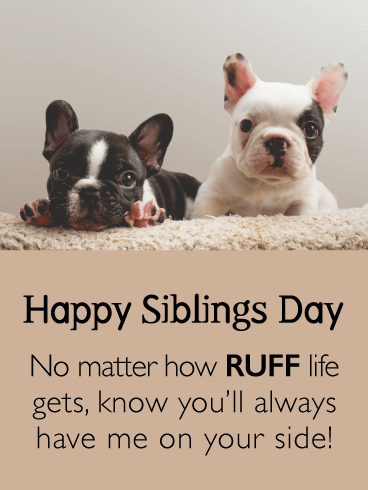 Send your cute sibling the By Your Side In Ruff Times Funny Siblings Day Card to give them a good giggle! Celebrate Brothers and Sisters Day by reminding your best fur-iend that no matter how “ruff” life get, at least they’ve always got you on their team! Paying taxes, though frustrating, is one of the necessary requirements of being an American citizen. Without taxes, our country wouldn't have schools, hospitals, roads, water, or any other things that make life run smoothly. With this Tax Day card, you can proudly show your patriotism, even as you celebrate the end of the stress, frustrations, and headaches that come with tax season. No one likes paying taxes, but it's a necessary part of our lives. Taxes provide the funding for our roads, our education, our water, and the smooth operation of our world. 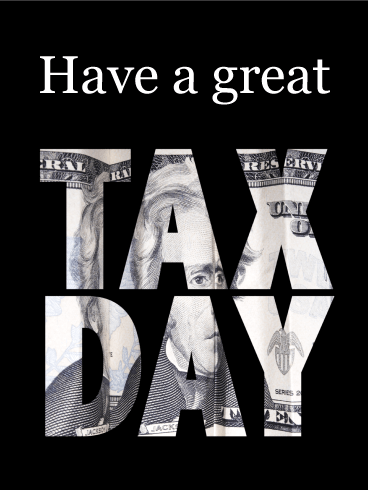 As Tax Day approaches, send this Tax Day card to everyone you know! The money-based design and message will remind them of their taxes and everything that taxes do for us! Are you having a "ruff" time doing your taxes? 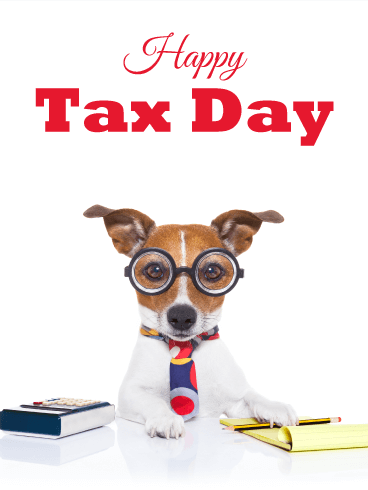 Tax Day is often thought of with dread and negativity, but you can use this funny Tax Day card to make it better! The silly puppy in this card will bring humor to such a stressful day and make it better for anyone who receives it. 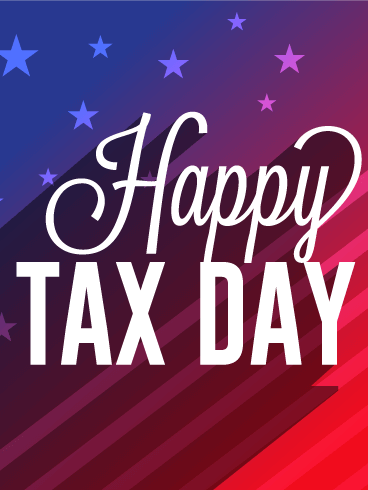 Send this Tax Day card to your loved ones today!